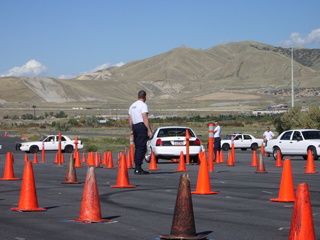 The Emergency Vehicle Operations instructs basic training cadets and existing officers on safe vehicle maneuvers. 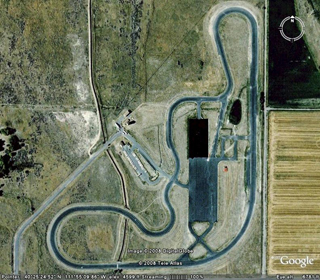 The EVO range located by the Camp Williams Military Reserve Base affords the opportunity to train officers in vehicle operations. More recently POST acquired two driving simulators to allow for safe instruction in decision making skills and maneuvers. With two driving simulators, POST can instruct up to six students at one time. The two simulators can also be linked together allowing two officers to be in pursuit of a suspect at the same time (a primary car, with a secondary car in pursuit scenarios. 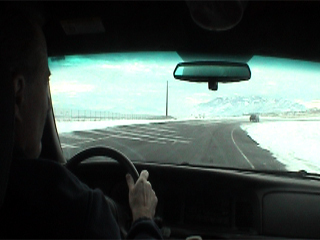 The training has numerous scenarios that are controlled and modified by the instructor allowing each student to go through unique emergency response and pursuit scenarios. The simulators help the students with multi-tasking, decision and making in a safe instructional environment.